Ms. Phuong Uyen Tran has been with the THP Beverage Group since 2004 where she now holds the position of Deputy CEO. Phuong Uyen Tran has responsibility for the company’s marketing, public relations, and CSR programs nationally and across Vietnam’s 63 provinces. Phuong Uyen Tran also leads THP’s international marketing programs across 16 countries where THP’s products are distributed including Canada and China. 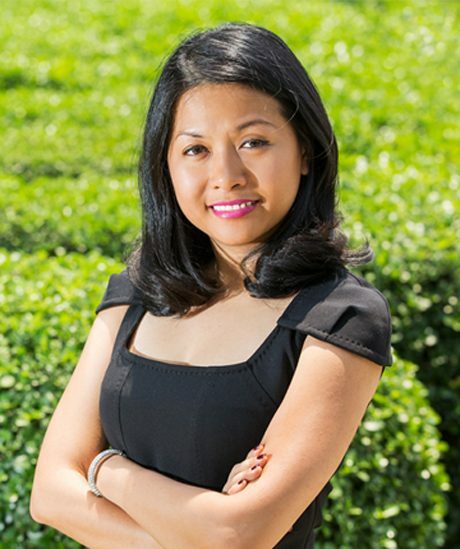 Prior to her current role, Phuong Uyen Tran was head of THP’s Media Department. Phuong has successfully implemented brand management strategies for all twelve THP brands, and was instrumental in the success in marketing THP’s three national brands: Dr. Thanh Herbal Tea, Number 1 Energy Drink and Zero Degrees Green Tea with Lemon. Phuong Uyen Tran is a member of the YPO (Young Presidents Organisation) and an Executive of the Beverage Association of Vietnam. She is also the Honorary Consul of Sudan in Ho Chi Minh. Phuong Uyen Tran holds a degree in Business Administration from the University of Bradford in Singapore. © THP GROUP. ALLRIGHTS RESERVED.